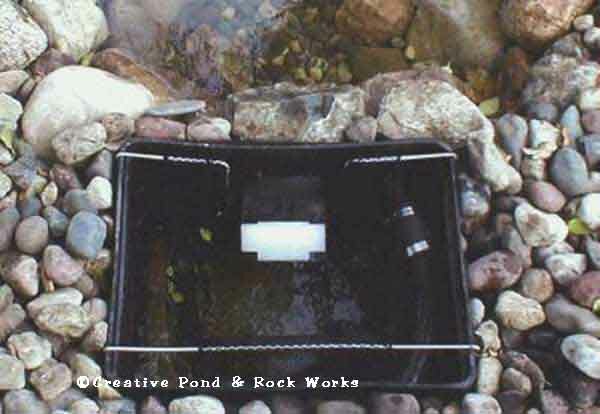 Creative Ponds & Landscapes is a pond & landscape contractor specializing in the installation of backyard ponds, waterfalls, pondless & disappearing waterfalls, fountains, assorted water features, Low voltage landscape lighting and landscaping in Minneapolis & St. Paul, MN. 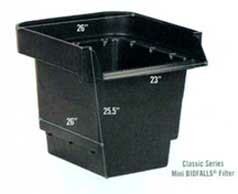 In our commitment to provide our clients with high quality, low maintenance ponds & waterfalls we highly recommend and install professional grade pond & waterfall components. The Aquascape Designs Inc. Pro Ecosystem pictured below combines all the components needed to maintain a healthy & natural pond ecosystem. 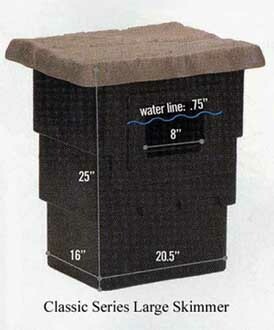 The components are designed and sized to work together and minimize pond maintenance while providing crystal clear water. The BioFalls unit incorporates the biological filter as the beginning of the stream or as a waterfall. 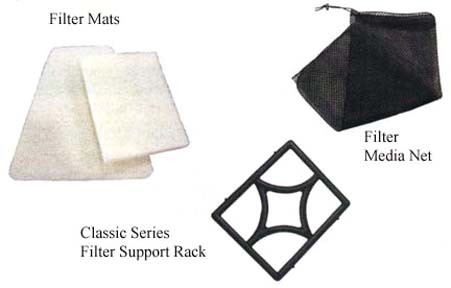 Filter mats & porous lava stone in mesh bags are used in the filter becoming a home to beneficial bacteria and are extremely efficient at filtering the water. 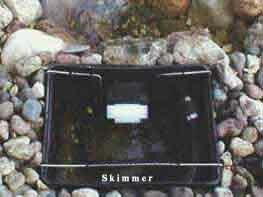 The Skimmer is a user friendly component that performs many functions. 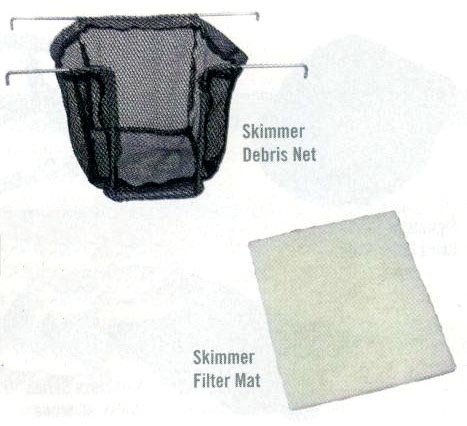 It houses the pump and pulls surface debris into an easy to remove catch bag. A filter mat acts as a pre filter and protects your pump from clogging. An optional automatic water fill can be installed in the skimmer keeping your water at a constant level, a great low maintenance addition! Pond & Waterfall Photo Gallery; Click Here to view photos of a variety of ponds & waterfalls installed in the Twin Cities of Minneapolis & St. Paul, MN. area using professional grade pond & waterfall components. 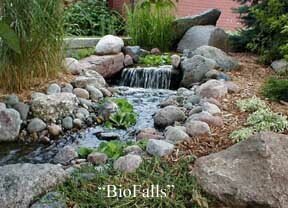 © 2012 Creative Ponds & Landscapes All Rights Reserved Biofalls® is the registered trademark of Aquascape Designs Inc.